The mobile health market could reach an astounding $86.6 billion by 2020, a yearly increase of 20.8 percent over a five-year period, according to Kalorama Information. In the race to re-imagine patient care, a number of innovative companies are creating new, breakthrough solutions that allow patients to access medical care from the comfort of their homes. Whether you’d like to to text a therapist, or video conference with a doctor, a variety of services and mobile apps are being released to accommodate different needs and preferences. This dynamic field is quickly becoming crowded with competitors, and we can expect to see big shifts in the coming years as companies jostle for position and test new business models. Interested to learn more? Here’s a look at a range of companies that are changing the way patients access medical care. 1. American Well partners with health plans, employers, and delivery networks to bring telehealth programs to the market. American Well’s mobile and web technology gives people convenient access to medical care, and its services extend beyond urgent care to include chronic care management and post-surgical follow up. 2. Doctor on Demand was founded by TV personality Dr. Phil and his son Jay McGraw, who produces the television talk show The Doctors. The service is promoted on their shows to millions of viewers, targeting a demographic that includes mostly young women. Doctor on Demand allows customers to see a doctor to diagnose ailments via video consultations, and it recently closed a $21 million Series A round led by Venrock, according to Forbes. 3. First Opinion allows users to text a doctor at any time to ask basic health questions and find out whether a trip to the doctor’s office is necessary. Texting a doctor through the service is free. According to its website, First Opinion has raised $8.6 million in funding. 4. Founded in 2009, MDLIVE works with board certified physicians and therapists to provide medical and behavioral health services by phone or secure video. MDLIVE is compliant with HIPAA and is available nationwide. In June 2015, MDLIVE secured $50 million in funding from Bedford Funding. 5. Inspired by Uber, Pager is bringing back physician house calls. With the Pager app, users can access on-demand doctors from 8 am to 10 pm every day of the week. A doctor assesses patients via video conferencing, and if needed, will come to them within two hours to provide care. The company launched its service in Manhattan in 2014. 6. PlushCare allows customers to skip the waiting room and receive urgent care by phone. PlushCare treats non-emergency medical issues such as pink eye, urinary tract infections, sinus problems, medication refills, and more. Patients pay a $99 visit fee and do not have to be insured. The service is available in California, Illinois, Nevada, New York, Ohio, Hawaii, Pennsylvania, and Washington. 7. SnapMD has been listed as one of the top 25 disruptive healthcare companies to watch by Becker’s Hospital Review. Its cloud-based telemedicine platform helps providers launch their own telehealth programs and extend their points of access to care. SnapMD licenses its software nationwide. 8. Spruce links patients to board-certified dermatologists through its mobile app. Patients can take photos of their symptoms, provide their medical history, and get personalized treatment, along with necessary prescriptions, in 24 hours. The cost is a flat rate of just $40. 9. Talkspace is a software company with a virtual platform that connects licensed therapists and patients. Its “unlimited messaging therapy” allows users to message a therapist anytime for $25 a week. It also provides social media dependence therapy and couples therapy. In May 2015, it raised $9.5 million Series A round led by Spark Capital, according to TechCrunch. 10. Teladoc offers 24/7 access to U.S. board-certified doctors and pediatricians. Patients can use the service for non-emergency medical issues such as cold and flu symptoms, ear infections, and rashes. In addition, patients can speak to a social worker or psychologist for help with depression, addiction, and other challenges. This industry pioneer has 11.5 million members and expects to achieve profitability by 2018, according to the Wall Street Journal. In this article, we highlighted a variety of on-demand services that provide remote medical assistance, but there are many others in this sector. If any other companies jump to mind, please share them in the comments section below so readers can learn about them as well. The 10 companies listed above are just a small slice of a fast-growing market. To gain a deeper understanding of the digital revolution in healthcare around the globe, check out reports on MarketResearch.com. One to review is Telehealth and Patient Monitoring Market by Kalorama Information with 251 pages of detailed data and analysis. 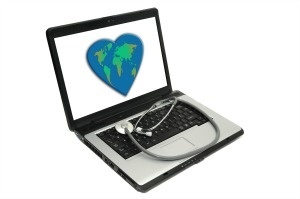 Visit our website to browse additional telemedicine market research reports.